I am still in the process of recovering from all of the excitement of the 2013 ASCA Conference in Philadelphia, PA. I decided to write a series of posts because I really can't cram everything I want to say into one post! I will give you the highlights of each day I attended the conference, even though the whole conference was amazing! I took the train from Pittsburgh, PA to Philadelphia, PA. Although it was a loooong ride, it was fun. 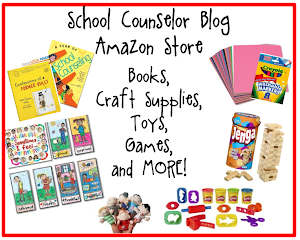 I was able to assemble #SCCHAT Tweet Up name tags, read a book on my Kindle, and meet up with one of my school counselor friends, Courtney. 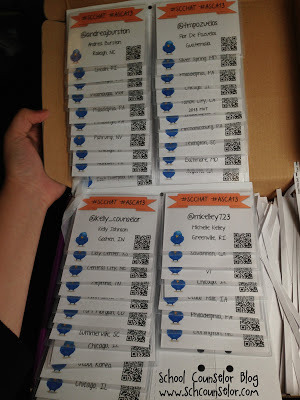 I made the name tags with QR codes so that attendees could scan the QR code for a list of people who attendended the #SCCHAT Tweet Up! All thanks to the power of Twitter, I met up with Debbie, a high school counselor from Ohio! We chatted in the dining car of the train about all things school counseling. It was a fun time and a great way to kick off the conference experience! 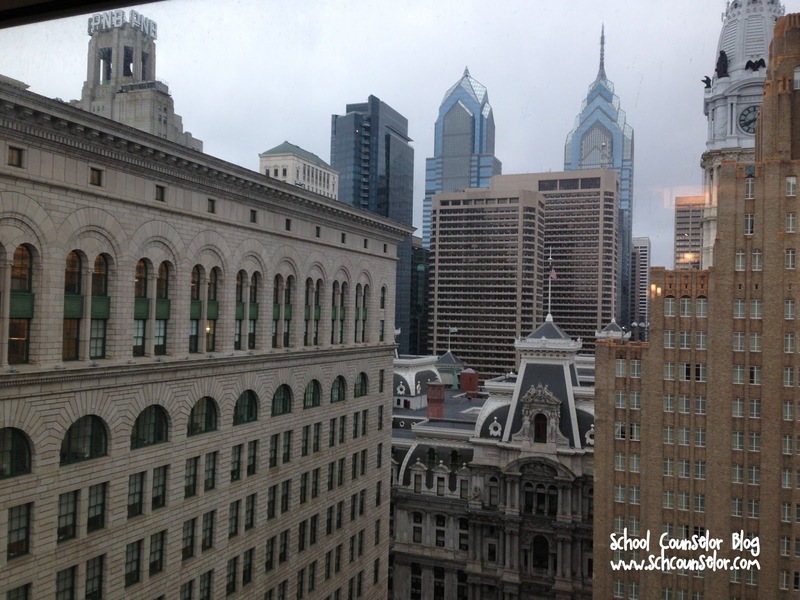 Once I got to Philly I checked into my room at the Philadelphia Downtown Marriott. My room was on the 22nd floor so I had a super cool view at the end of my hallway! 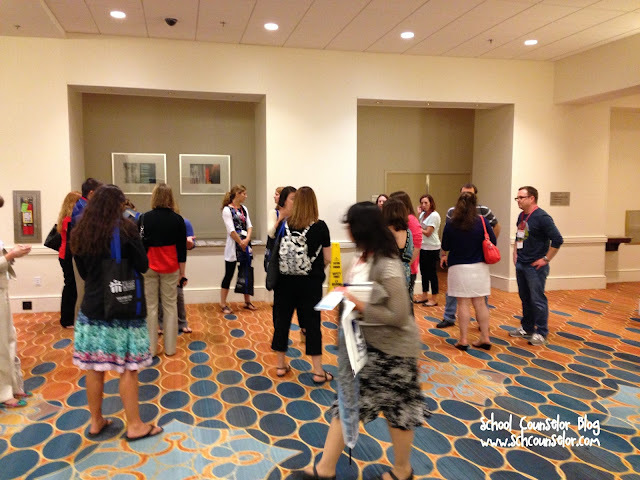 After checking in to our hotels, Courtney and I headed over to the conference hall to check-in for the conference and get all of our materials. 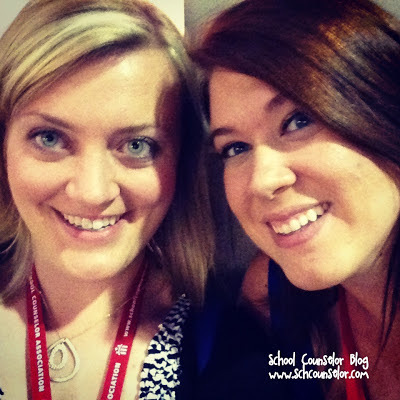 Courtney and I - so excited to be at ASCA! Sunday night I co-hosted the 2nd Annual School Counselor Tweet Up with Dr. Erin Mason from SCOPE! 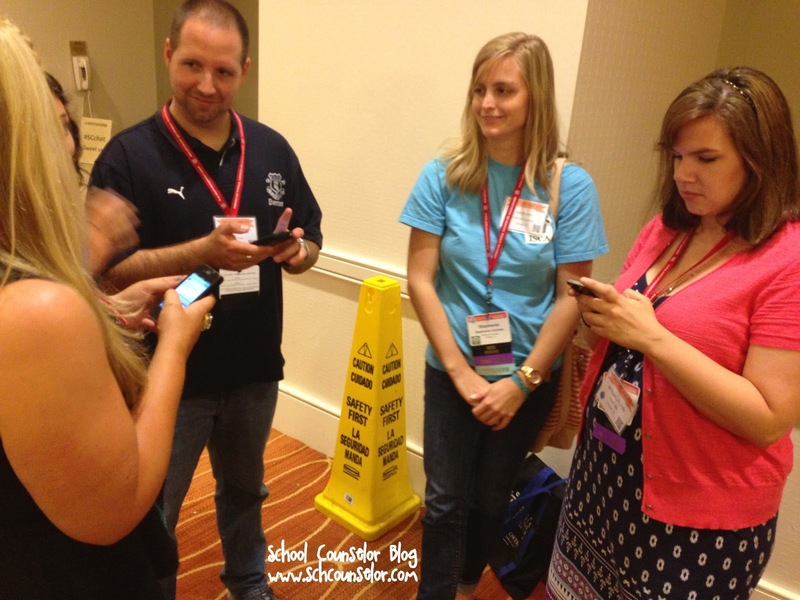 There were so many #SCCHAT tweeps and new Twitter users! It was so much fun to see familiar faces and meet #SCCHAT tweeps in real life! I am so excited that so many school counselors showed up! We had a lot of fun connecting with each other, sharing our favorite Twitter apps and talking about all things tech and school counseling. A HUGE THANK YOU to all those who attended the #SCCHAT Tweet Up! It was a blast and I cannot wait to make it bigger and better for next year! 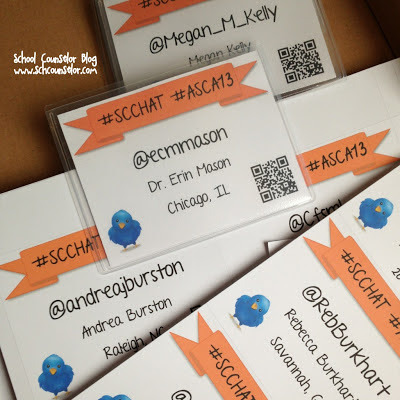 I created a full list of #SCCHAT Tweet Up attendees so you can connect online with the people you met in person! 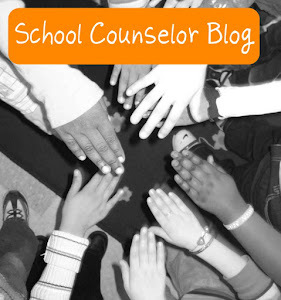 For more information about #SCCHAT (School Counselor Twitter Chats, montly school counselor chats on Twitter, visit http://bit.ly/scchat-info. ASCA Day 1 was a lot of fun! 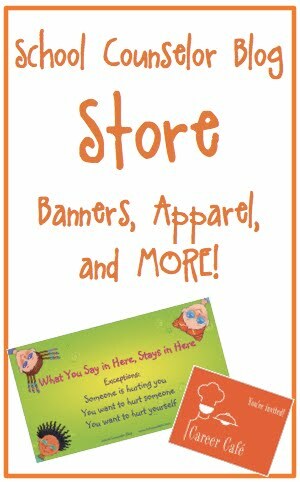 I can't wait to share more of my ASCA 2013 conference experience with you! 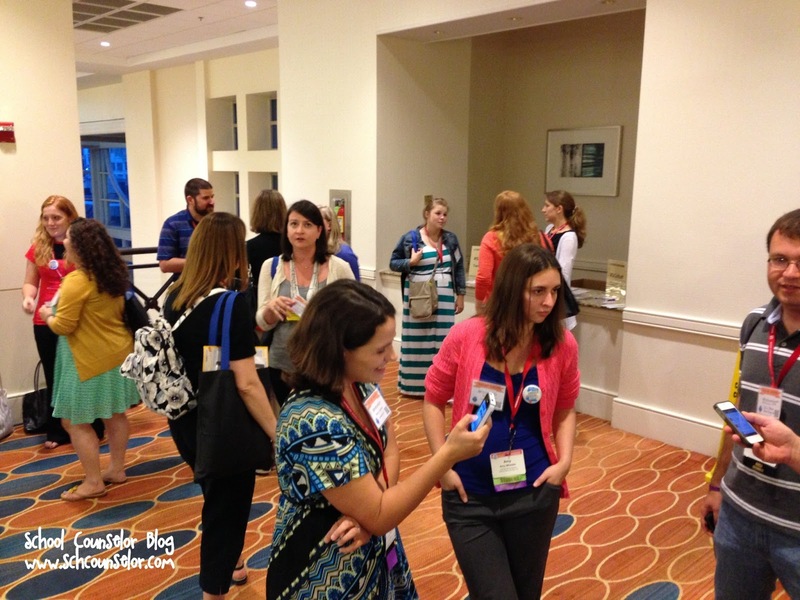 What are your favorite highlights of the ASCA Conference this year? 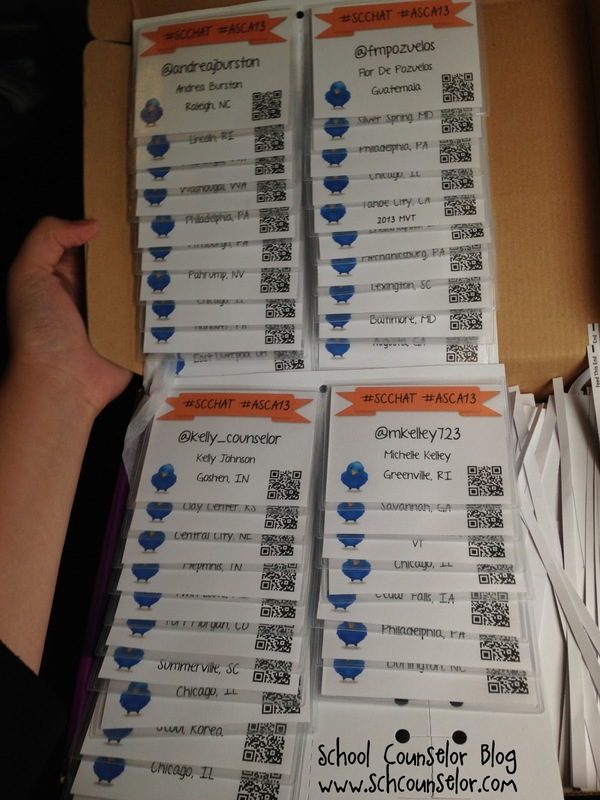 Are you planning to attend the 2014 ASCA Conference in Orlando, FL? If you were not able to attend the ASCA Conference this year you can still access all the handouts and materials from the presenters on the 2013 ASCA Conference App.